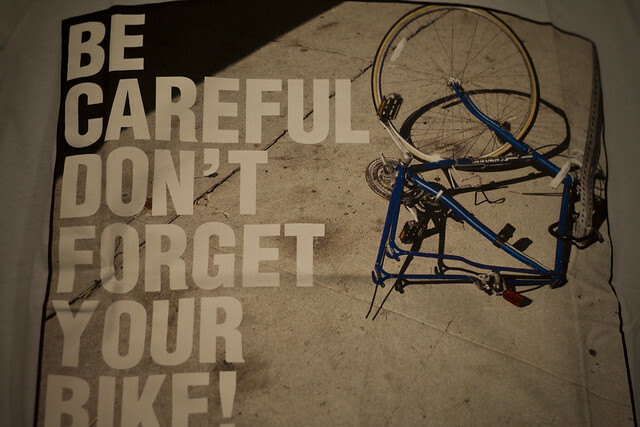 Another sure sign that bicycles are going mainstream. 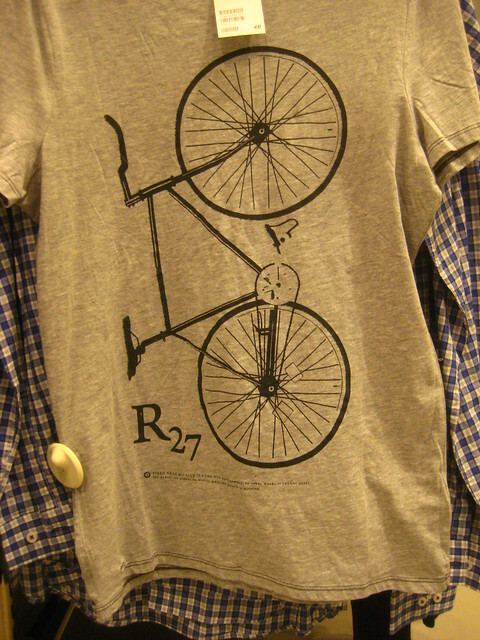 Spanish ZARA features bicycles on their cheap and cheeful t-shirts. And Swedish H&M gets in on the act, too. Complete with spelling mistakes in the small print. 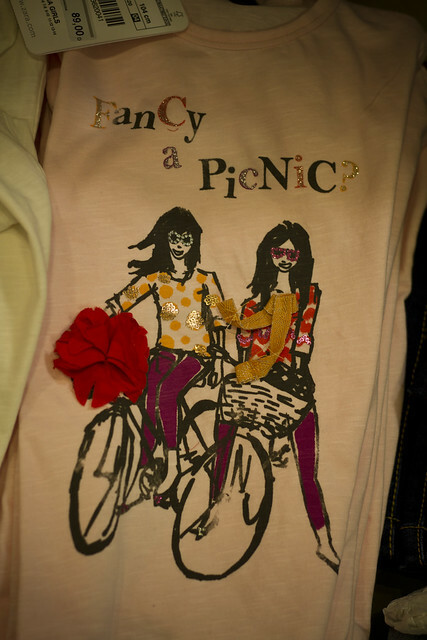 Loved these t-shirts!! Great for wearing on a sunday park ride!